Paul Davies has branded this season the biggest yet for local amateur football outfit Carluke FC. The Strathclyde Saturday Morning League set-up has been rejigged once again during the close season. And that restructuring has seen the Cobras drawn in a tough Championship A division. But ambitious boss Davies believes his new-look side can storm their way into the Premier Division. Davies said: “This year is the most important season for us in terms of where we need to be as a club. 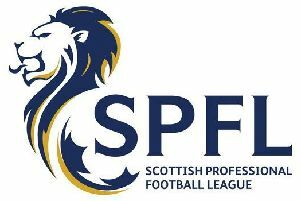 “I have previously said we want to be part of the South or East of Scotland league in the future. “But we can’t even contemplate that if we are not in the top league in our current setup. The Cobras challenged at the top of their league for the bulk of last season only to fall away in the final months of the campaign. Since then Davies has overseen a massive turnaround in players. He believes they’re now better set up to last the distance this term. Davies said: “All the pieces of the jigsaw seem to be coming together. “This year I believe we also have the right attitude in the changing room to allow us to challenge to the end. “Last season our finish was disappointing. We had been challenging for the title, then for second place and in the end we were hanging on for third place. “We’ve not had much time to recharge our batteries but I’ve been desperate to get back to the action. “Despite last season’s disappointment we’ve come so far in the two years we’ve been in existence. “We’ve kept a solid core of players and brought in a good group off guys along with making a conscious effort to add some younger players. Carluke travel to Peebles for a friendly this Saturday as they continue their preparations for the new season.